Professional ASP. NET 4. 5 continues to set the standard for ASP. NET established by the earlier 3. 5 and 4 versions of this book. With a completely new approach and philosophy better reflecting the needs of readers with up to a decade of ASP. 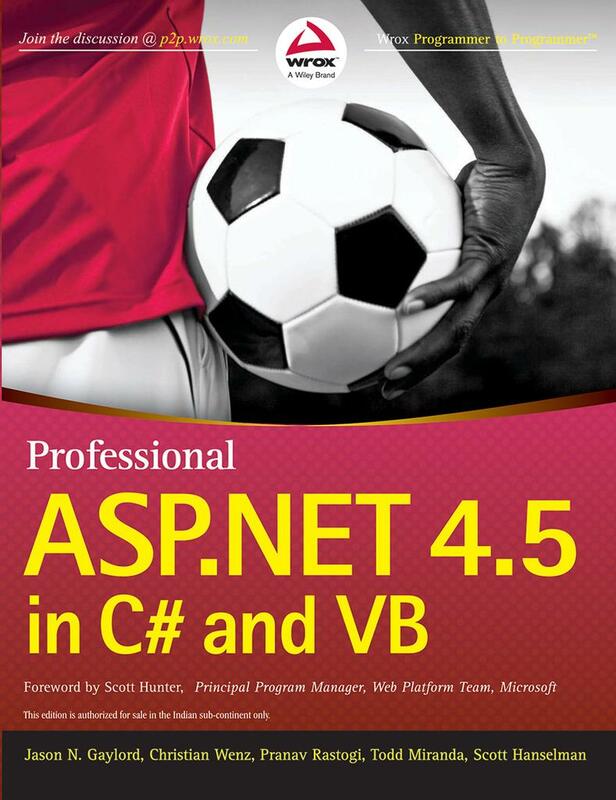 NET experience, this edition gives readers the tools they need to see their ASP. NET sites and applications as integrated wholes. Packed with field tested expertise that only comes from the authors' extensive experience building and deploying sites, this new edition will give any experienced ASP. NET developer a fresh new set of tools to get their ASP. NET applications done right.